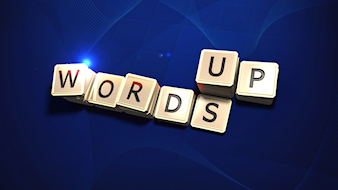 I am pleased to announce the release of WordsUp v1.3 for Windows 8 and also now for Windows Phone. The Windows Phone version is compatible with Windows Phone 7 and 8, including low memory devices. WordsUp is a "universal" app, so buying the Windows version will also give you access to the Windows Phone version, and vice versa. 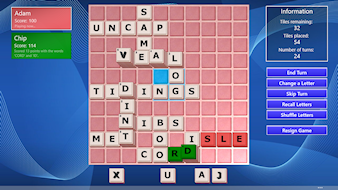 New features in this version include network play so you can play games with others over the internet, and various tweaks to the rules as requested by several WordsUp players. If you'd like to try the free trial, you can download it now for Windows 8 and Windows Phone.